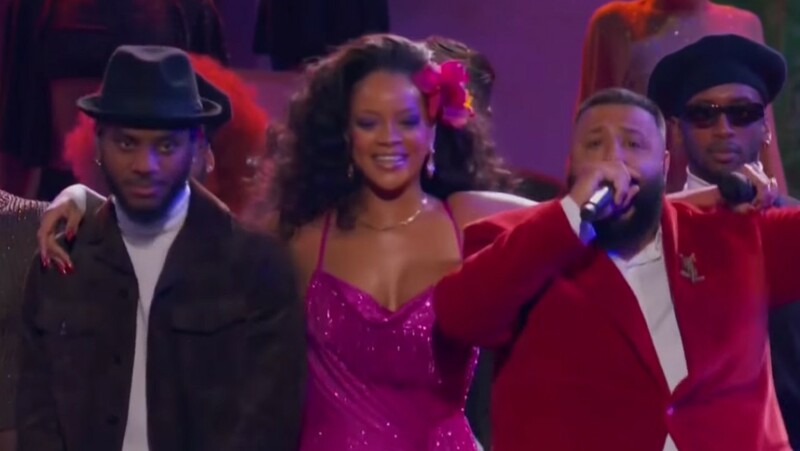 Rihanna caught with her tongue out during the performance of Wild Thoughts at the 2018 Grammys in New York City. Rihanna went to the 60th Annual Grammy Awards last night, Sunday, January 28, to have fun. 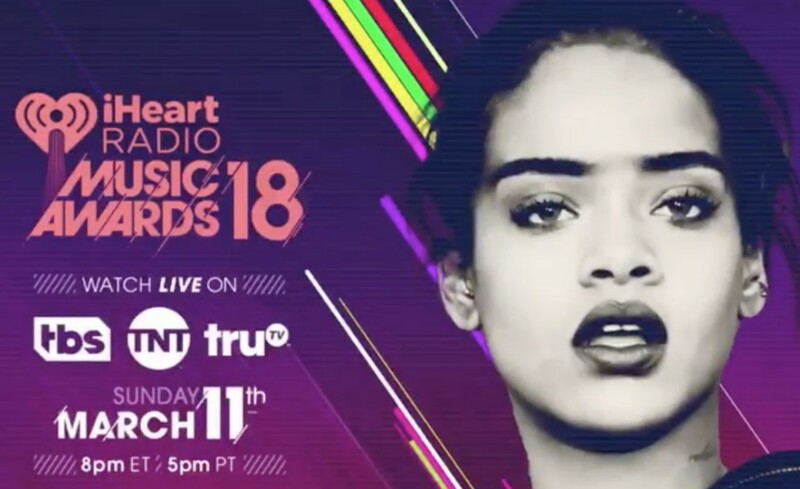 She skipped the red carpet but stole the stage, commanding the attention of everyone when she started dancing and wilding out during the Live performance of Wild Thoughts. From the moment she made her entrance in a cowl neck, spaghetti strapped fuchsia dress with sequins all eyes were on Ri. Then she took center stage and despite being surrounded by more than 20 dancers, Ri with her curly bundles and high side split on the left-side of her dress was not easy to miss. She sang when it was her time to, but once DJ Khaled or Bryson Tiller were on the mic she balled out. Ri even did some Latin dance steps in the ‘Carlos Santana – Maria Maria’ sample segments and after the last Latin break in the music, she went HAM. 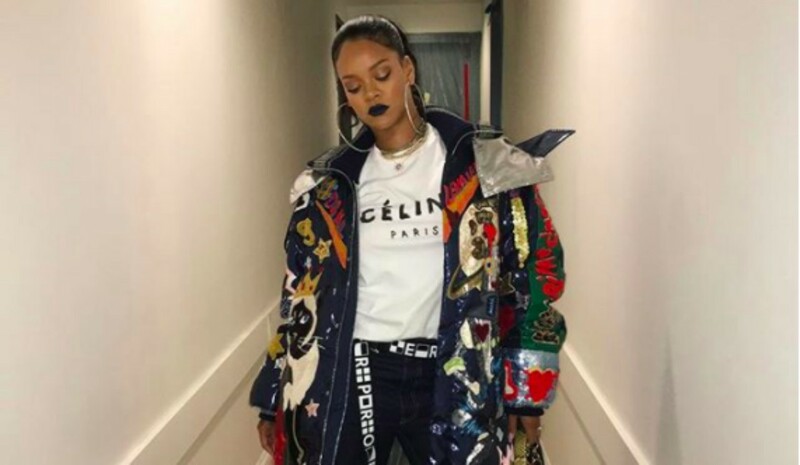 Rihanna had Barbadians around the globe going “Check RiRi”, “Yaaaassssssss”, “Come through Rihanna”, “Yuh just gotta love uh Rihanna hear”, while screaming and even laughing all the while. When Ri clenched her teeth and then stuck her tongue out while ‘shaking what her momma gave her’ in unison with the dancers as choreographed, the energy in Madison Square Garden in NYC exploded. Persons watching live or via stream could not help but feel her infectious rhythm, beat and joy. Rihanna was on show! Check the video from the Super Netvid YouTube channel above. 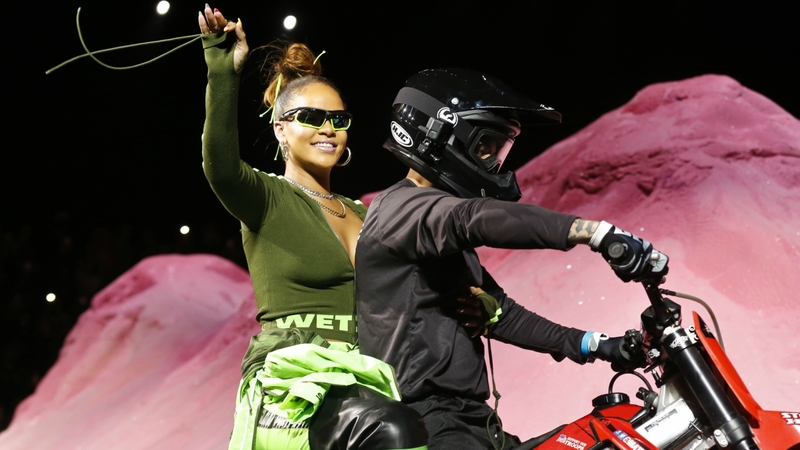 And it was purely coincidental that around that moment, DJ Khaled said to the crowd, “Oh, y’all think it’s a game!” Ri sure as heck had a blast. Now this morning the memes are here. So if you’re Bajan or Caribbean you'll get all of these, but regardless, here are a few times when it would be okay to give them that ‘Rihanna WILD THOUGHTS face action’. 12. When they keep asking what hits Rihanna had in 2017…oh, besides Wild Thoughts? 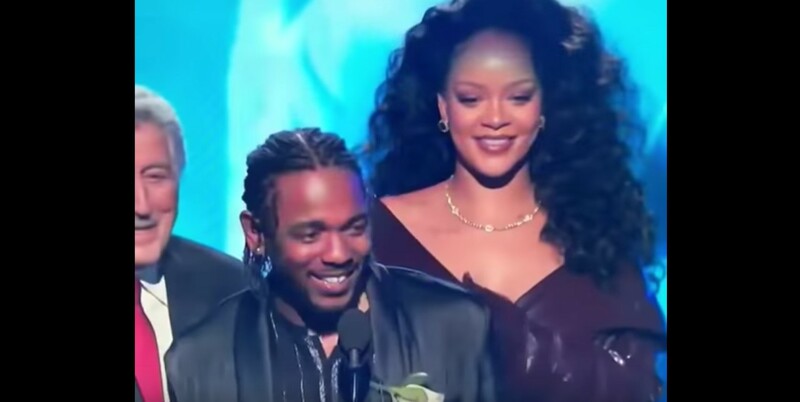 And you point to her 2018 Grammy Award for LOYALTY *cue Rihanna* Leave them with their faces looking they bite LEMON. HAAAA! On Twitter persons were making memes too. Josiah Johnson, Creator of Comedy Central's LegendsofCH tweeted a .gif of Rihanna's clenched teeth and tongue out reaction along with, 'When she hungry and finally get some food' It got 1,300 likes in 12 hours so far.